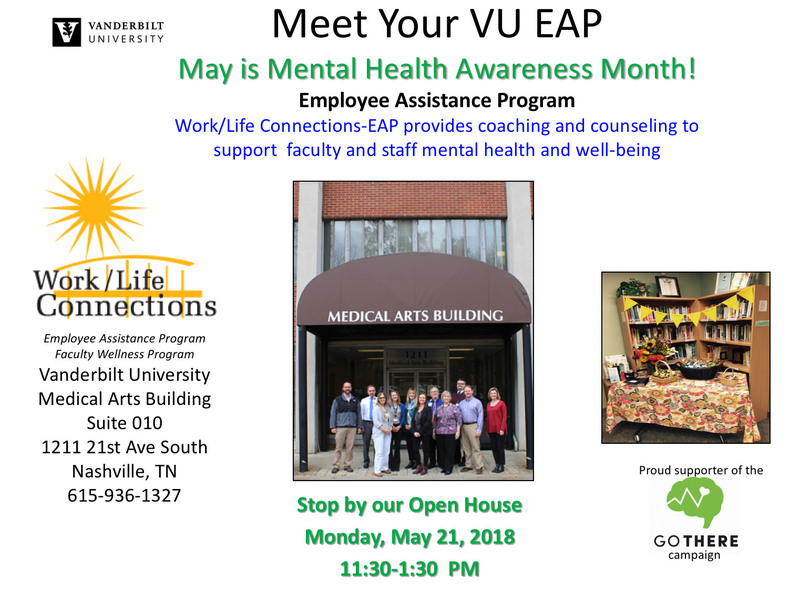 In celebration of Mental Health Awareness Month in May, Vanderbilt University’s Work/Life Connections–Employee Assistance Program (EAP) will host an open house for university faculty and staff Monday, May 21, 2018, from 11:30 a.m. to 1:30 p.m. 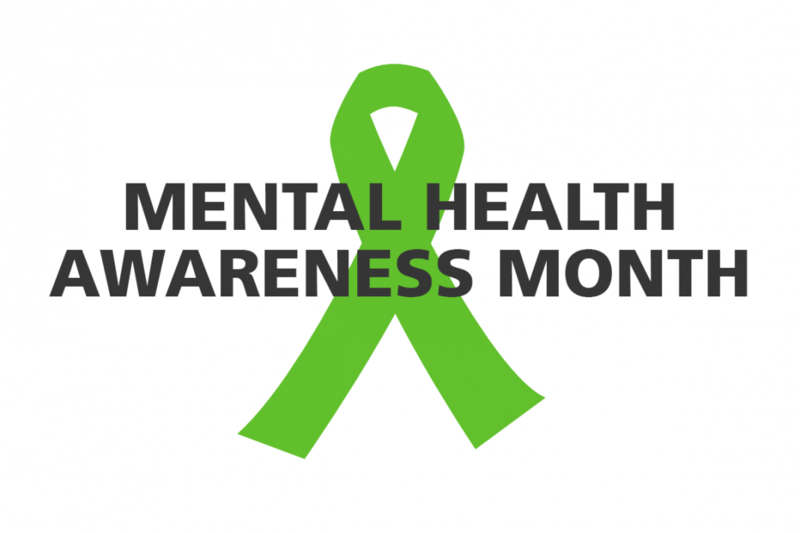 The EAP provides short-term coaching, counseling and referrals to support faculty and staff mental health and wellbeing. 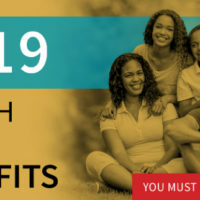 This open house is an excellent opportunity to learn about university and community resources available to Vanderbilt employees and their spouses. EAP is located at 1211 21st Ave. S. in the Medical Arts Building, across from the Peabody College campus, in Suite 010.